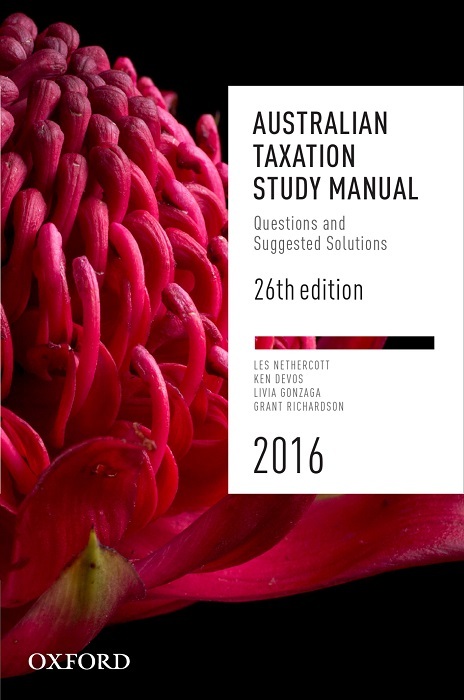 The Australian Taxation Study Manual provides over 290 practical exercises for taxation students. Each question deals with a real-life tax problem, and allows readers to interpret and apply their knowledge of taxation and gain confidence in preparing for assessment. Section 1 of the book provides tax questions with suggested solutions. Covering twelve key areas of taxation law and practice, these questions are graded by level of complexity and cross-referenced to the 2016 editions of the Australian Master Tax Guide, Australian Taxation Law and Foundations of Taxation Law. Section 2 contains numerous tax questions without solutions, which can be used in tutorials or as weekly assignments. They are designed to foster an understanding of the legislation and key principles of taxation law.